Synopsis: Sweet Dreams Chocolate Company has been in the Sterling family for generations, ever since Great-Grandma Rose literally dreamed up her first fabulous recipe. 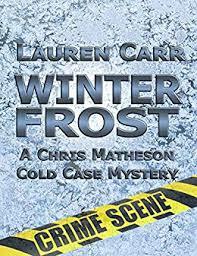 But now it looks as if they're about to lose Sweet Dreams to the bank—and that would be a disaster, not only for the family but for the town of Icicle Falls, Washington. Can Samantha, the oldest daughter and new head of the company, come up with a way to save it? My Review: First of all I LOVE chocolate. Better than Chocolate had my name written all over it! I enjoyed this read! Better than Chocolate is filled with great characters (loved Blake! 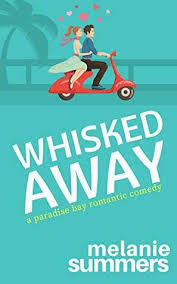 ), engaging story, and some yummy recipes! Icicles Falls Moose Munch.....oh my! 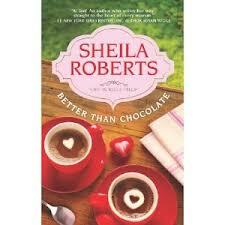 I am not much of a romance reader, and Better than Chocolate is more of a chick lit book (my favorite genre!). I wanted to keep reading to see how Samantha and Sweet Dreams pulled through. I enjoyed the town businesses coming together to benefit all, but especially sweet Dreams. Not only did the town businesses pull together, but so did Samantha and her sisters. I had no problem imagining myself all around Icicle Falls. The descriptions of the shops, restaurants, Sweet Dreams, etc. were just so clear to me. If only I could really find such a place. I loved all the detail around the festival too. Better than Chocolate is the first book in the "Life in Icicle Falls" series. In the back of the book is chapter 1 from the next book....Merry Ex-mas! I think it is another hit! I would love to read it and look forward to Merry Ex-mas and others in the series. 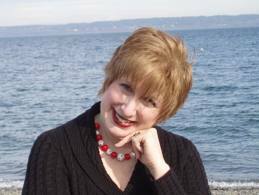 Meet the Author: Sheila Roberts lives on a lake in the Pacific Northwest. Her novels have appeared in Readers Digest Condensed Books and have been published in several languages. Her book Angel Lane, was an Amazon Top Ten Romance pick for 2009 and her holiday perennial, On Strike for Christmas was made into a movie for the Lifetime Movie Network. You can visit Sheila on Twitter and Facebook or at her website (http://www.sheilasplace.com).